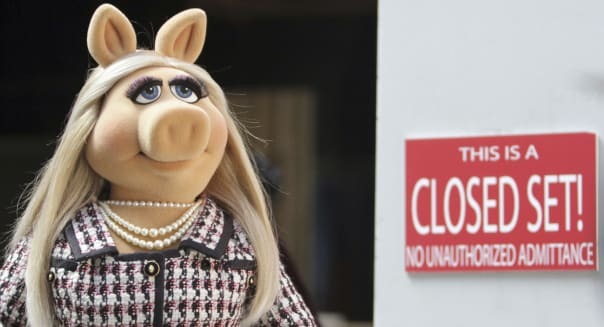 Andrea McCallin/ABC via Getty Images"The Muppets" returns to primetime Tuesday with a contemporary, documentary-style show. From the long overdue return to primetime programming for a once iconic family-friendly television series to the market debut of the latest smartphone darling, here are some of the things that will help shape the week that lies ahead on Wall Street. It's going to be a great week to take the pulse of the housing industry. Things kick off Monday with Lennar (LEN) reporting to kick off the trading week. Rival KB Home (KBH) follows on Thursday. Even if you're not invested in either company -- and most of us aren't -- it pays to pay attention. Don't just stop at the revenue and earnings metrics. Delve deeper. Check to see if the backlog of orders is growing or shrinking. See if cancellations are holding steady, declining, or on the rise. With some folks concerned about the strong possibility of interest rates on the rise, it wouldn't be a surprise if there's a flurry of buying activity before there's less bang in the mortgaged buck. The long anticipated return of "The Muppets" to primetime television takes place Tuesday. It's not a surprise that the weekly show will air on ABC. The Disney-owned network acquired the rights to the characters in 2004 from Jim Henson's estate. Before you wonder why Disney (DIS) is taking a chance on a property that may have peaked two decades ago, check out the preview video that gives the characters a modern spin. The clip went viral this summer given its edgy mockumentary style along the lines of "The Office." We'll see how the ratings play out, and if a strong showing carries over to subsequent Tuesday night airings. Steelcase (SCS) chimes in Wednesday with fresh financials. Steelcase is a leading maker of office furniture, making it a great proxy for the state of corporate America. If it's selling a ton of its office chairs, work desks and modern cubicle modules, then that's probably an encouraging sign for the state of corporate hiring and spending in general. Home furnishings will be in the spotlight Thursday as Pier 1 Imports (PIR) and Bed Bath & Beyond (BBBY) report their latest quarterly results. Analysts see modest year-over-year growth in the low single digits for both companies. Pier 1 has been one of the market's biggest winners since its stock bottomed out at a mere dime six years ago. It's been a 100-bagger since then, but the stock has fallen sharply since peaking two years ago. Bed Bath & Beyond hasn't been as wild a ride, but both retailers are naturally at the mercy of folks wanting to spruce up their homes. The iPhone 6s and iPhone 6s Plus hit the market Friday. Pre-orders have been strong according to Apple (AAPL), which expects the number of devices sold over the weekend to surpass the record 10 million iPhone 6 smartphones that sold in last year's debut weekend. The device doesn't make the same kind of generational leap that we saw between the 5s and 6 last year, but Apple's installed base of iPhone users continues to grow. If you see long lines assembling in the morning at an Apple Store near you, you'll know why. Motley Fool contributor Rick Munarriz owns shares of Walt Disney. The Motley Fool owns and recommends Apple and Walt Disney. The Motley Fool recommends Bed Bath & Beyond. Try any of our Foolish newsletter services free for 30 days, and check out our free report for one great stock to buy for 2015 and beyond.